The all-new Mazda CX-5 is a compact SUV that offers confident performance in all situations – thanks to superior build quality, outstanding stability and exciting powertrains. The majestic Mazda CX-5 commands attention wherever it roams, through Mazda’s innovative KODO: Soul of Motion design language. This powerful styling takes inspiration from figures in the natural world, which are incorporated into the SUV’s distinctive, sculpted body. The attractive silhouette also features a sporty edge, reflecting the model’s exceptional performance levels and exhilarating behind-the-wheel experience. SE-L Nav, SE-L Lux Nav and Sport Nav trim levels are available in the new Mazda CX-5. Cool, 17” alloy wheels are a generous entry-level feature, designed to attract attention. You also benefit from cruise control to make long journeys a breeze. Top-of-the-range Sport Nav comes with six-way electric seat adjustment and lumbar support for optimum comfort – along with heated leather seats and a sliding sunroof to let the light flood in. This redesigned model is equally impressive in the cabin – you can expect style combined with enhanced practicality to create the ultimate space. Soft-touch materials and a flexible seating arrangement are among the many highlights – allowing you to adjust the layout to suit your changing needs, while enjoying complete comfort. iPod® connectivity, USB ports and integrated Bluetooth® all feature to maximise connectivity on the road – and you can access and control all via the easy-to-use Multimedia Commander. Under the bonnet, the new Mazda CX-5 certainly knows how to impress. The Japanese marque’s ground-breaking SKYACTIV Technology now features in the engine line-up – which is ideal if you want to reduce your carbon footprint without compromising on performance. With the 2.0-litre Skyactiv-G petrol engine, you can hit 62mph from a standstill in under ten seconds, while the fuel-efficient 2.2-litre Skyactiv-D diesel emits as little as 128g/km of CO2.  There are also two and all-wheel drive (AWD) set-ups to match your driving style. As usual, safety is a top priority in the Mazda CX-5 – and that’s why cutting-edge technology is used to maximise security for all occupants. Class-leading safety systems now include all-round airbags for total coverage, Isofix child-seat fixings for easy installation, and dynamic stability control to help you maintain control in the trickiest of conditions. The new Mazda CX-5 won’t let you down. 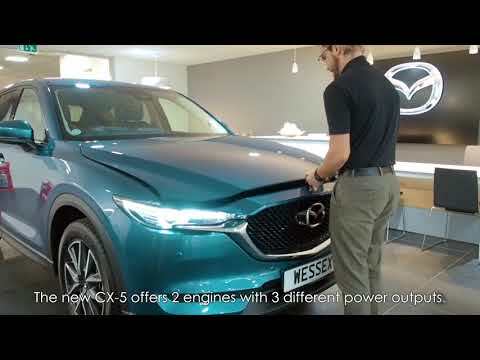 If you want to experience the all-new Mazda CX-5 first-hand, book a test drive at Wessex Mazda. It’s easy to arrange – just get in touch with us online, by phone on 0117 332 2665 or in person at our showroom on Pennywell Road, Bristol. Remember to enquire about our special offers, too, to make your money go even further.